I do not think we can ever know how much we will affect all the people we meet in our lifetime. Perhaps, for those people closest to us, we can momentarily see how our words and deeds effects them when they are right in front of us. But when we part or move on, we have no idea what lasting effects this contact will have. I often wonder how I have affected the people I have met in my lifetime so far. I know that many people have impacted my life and that some of those people will never know how much they affected me. When I was a undergraduate student at UCLA I worked as a clerk in the medical center for a orthopaedic oncologist. He saw patients with bone and muscle tumors. One of his patients was a teenaged boy diagnosed with a particularly bad type of bone tumor. While I never met this patient, I did have contact with his mother over the phone. I set up the initial consultation appointment. After his referral to an oncologist, I heard back from his mother than her son was refusing treatment. Devastated, his mother sought my help and I arrange a second opinion with another recommended doctor closer to his home in Orange County and made sure all his medical records were copied and sent to this doctor. Even after this second consultation, the teenager continued to refuse treatment. Instead, his family took him to a clinic in Mexico. Occasionally, the doctor I worked for received medical updates and I would read them as I filed them into his chart. With each report, his cancer spread and worsened. The last report was from the Emergency Room. He arrived in very poor condition and, having finally changed his mind, he was asking for treatment. He was admitted but did not live long enough to receive it. My heart went out to this boy and his family. About 9 months later, I was diagnosed with cancer: acute promyelocytic leukemia. I remembered this boy and his story. On the day I was given the results of my bone marrow biopsy, I asked to be taken to UCLA so I could begin my cancer treatment. I did not know if I would live or die, but I knew that if I didn't follow whatever treatment course my doctors recommended, I would not survive. I do not think we can ever know how much we will affect all the people we meet in our lifetime. Sometimes we need to be reminded of this, especially when we are feeling down, useless or a burden on other people. I believe that we are meant to be here, in this moment, even if our purpose for being here is not clear to us or our effect on others around us never truly revealed. Question of the Week: Do You Have the Holiday Blues? Welcome to the holiday season. You see, in 2004, three days before Christmas, my Dad died from complications for Alzheimer's disease. It was a bittersweet moment in time. Since then, the holidays remind me of his death. Christmas 2004 was also my first Christmas living with chronic pain and chronic fatigue. These chronic illnesses profoundly impacted my ability to celebrate the holidays like I had in the past. It has taken me several years now to figure out a new way to celebrate Christmas. There were a few years among the six since 2004 where I seemed to have lost my holiday spirit altogether. Tell me if you are having problems coping with the holidays and what steps you are taking to deal with the holiday blues. I welcome your comments here or head over to the Oh My Aches and Pains! Facebook page and join the discussion there. Now perhaps you are mostly home-bound like me and thinking to yourself, 'How in the world can I volunteer from home?' That, my dear reader, is an excellent question for which I have quite a few answers. Surprised? Make your spring cleaning easier by going through your home now and collecting all the items you no longer use or want. Then donate them to one of the many non-profit organizations who will gladly accept them. Can't get the items to the donation center? Many organizations would be more than happy to pick them up at your home, especially smaller, local groups who don't receive as many donations as the big ones. Finally, I found this blog post over at The Morning News that lists a few more ideas for volunteering, including knitting teddy bears, sewing a security blanket and send a card to a child with a life-threatening illness. So reconnect with the holiday spirit by giving to others. After all, it's giving that is the heart of this season of celebration. Beat the holiday blues by making a difference in another person's life! This time of year is perfect for a nice, hot cup of tea. Besides being warm and soothing, tea has many health benefits too: read this great article Tea for Fibromyalgia. One of THE best cups of tea I have ever had was from the Mighty Leaf Tea Company, which I discovered in 2004 at the Portofino Hotel in Redondo Beach. I have been ordering their artisan blends in biodegradable tea pouches ever since. Some of my favorite authors are Dr. Wayne W. Dyer, Geneen Roth, Sylvia Browne and Marianne Williamson. In fact, I own books by many of the authors published through Hay House. My favorite categories to browse are inspirational, health and healing, spirituality and self improvement. I currently have my eye on Happy Holidays! by Dr. Dyer, which is about beating the holiday blues. I covet just about every back-friendly gadget in the Relax the Back store. From pillows and plush supports that make sitting and lying down more comfortable, to ergonomic pens that make writing with carpal tunnel symptoms a little bit easier, this store is a great place to browse for helpful products and ideas. Of course, these days I'm doing my browsing online at the Relax the Back website. With all my sleep problems, it takes a variety of strategies and solutions to get me close to a good night's sleep. One thing that really helps, so much so that I simply cannot sleep without it, is a sound soother. I own the Sound Oasis Deluxe. My favorite sound is white noise, which magically drowns out my husband's snoring, noise from outside my window and the doorbell when I am resting. So be good to you this holiday season. Splurge on a gift just for yourself and be your own secret Santa. This time of year can make you want to hide in bed under the covers. For many of us, thoughts of canceling the holidays and dropping out of sight might seem like a really good idea. But take heart! I want to share with you some strategies that I have tried over the past six years for making the holidays enjoyable again. Today I am taking a few quiet moments to reflect on my blessings. This Thanksgiving, I find myself feeling the most thankful for being a blogger/writer. Today I can say that I am no longer blogging to just inform my family and friends; today I am blogging with purpose. My purpose is to be helpful and be of service to other people living with chronic illness, to support and inspire them on their journeys of discovery, learning living their best lives despite chronic illness. To show my appreciation to all my friends, I created a Twitter daily newspaper over at paper.li which I have titled The Chronic Friend Daily. I am grateful for this new purpose in my life, a purpose that is fibro-friendly, i.e. fits well with my life with fibromyalgia. I admit I miss the holidays of my childhood. I have fond memories of making the "over the river and through the woods" trip to my Grandma Ann's home. Once there, I spent the whole time by her side, helping her in the kitchen and in return being bathed in her attention and affection. I remember her helping me feel warm, loved and special during the holidays. The meals were hardy and home-cooked. I can still see everyone seated at the dining table, passing serving bowls full of food. After the meal, I know there were presents, but I cannot recall a single one. For what I remember the most is my family, together, under one roof and every one getting along. It was truly a magical time. Then at 16, my Grandma died and the holidays devolved into something quite different. Now family members were fighting at the dinner table and openly unappreciative of a meal that didn't meet their expectations. Individuals started making other plans or not extending an invitation to certain family members. Slowly, my family started falling apart and drifting away from each other. We lost our matriarch: the glue that kept us together, the person who quelled our disagreements and magician who maintained order amongst chaos. For me, it was a process of adapting to change, leaving a sheltered childhood behind and learning about the adult world. I discovered a reality where people are not always kind to each other or agreeable to table their disputes long enough to enjoy a holiday meal together. My early adulthood memories of the holidays became about disagreements, distance and disownments. It seems like as we all get older, the holidays seem to lose their wonder and splendor. And let's be honest with each other too; the truth is the holidays can be a very stressful time. Just think of all the tasks, chores and To Do lists that mark this time of year. Then layer on the subtle and not so subtle messages society sends us this time of year: buy the perfect gift, be merry and jolly, set the perfect table and act like you don't have a care in the world. Add on top the woes many of us face today: chronic illness, physical limitations, financial problems and family disagreements. My suggestion to get yourself back into the holiday spirit is to ask yourself what matters most. My fondest holiday memories are about the people in my life. My most precious recollections are about spending time with them and doing the little things, like helping in the kitchen, sitting at the table enjoying a meal, relaxing on the sofa watching TV and posing together for an impromptu family photo. Those memories are about putting differences aside, letting troubles melt away for just one day and focusing on enjoying the moment and their company. Even during Christmas 2004, a truly terrible time, when I had just begun my journey with chronic pain and my beloved Dad had just passed away three days beforehand, what I remember most is the comfort I felt just having my family around me. Yes, even with my heart heavy with grief, pain and fear and shedding quite a few tears throughout the day, it's the people next to me that I remember most. I invite you to try an experiment with me. If you are having a hard time and you just don't feel up for this holiday season, try connecting to what matters most to you and place your efforts and attention there. See if readjusting your focus makes a difference in how you experience the holidays. Please let me know if you find this strategy helpful. Image by christhomson via FlickrPlease note: Today's post is inspired by real life events that unfolded today on Twitter. Identifying information has been removed and tweets are summarized. In the early morning hours today, I was made aware by a tweep (a friend on Twitter) that someone had tweeted that she was contemplating suicide. Her previous tweet (aka Twitter message) was that she was lonely and alone for Thanksgiving and wanted people to contact her if they were going to be alone too. Other tweeps were both alarmed and concerned, wanting to do something but not knowing what to do. The tweep in distress was in the USA and the concerned tweeps were in places like the United Kingdom and Australia. After a few moment of shock and another few moments of contemplation, I decided to get involved and try to help this tweep. I have a sister who lives with chronic depression. I hadn't heard from her in a few years, but in 2003 she called me out of the blue and asked to meet me for lunch. During the meal, she asked me if I would take care of her cats if anything happened to her. This raised a red flag raised and I asked her if she was thinking of killing herself. When she finally admitted that she was, I convinced her she needed help and took her to the psychiatric emergency room so she could get the assistance she needed. As I have mentioned before here, I am a retired social worker. While it as not my obligation to get involved in these type of situations, I nevertheless decided that a suicide tweet was a plea for help. I felt compelled to try and respond. Long story short, through the wonders of the privacy-depriving Internet, I found a way to contact a member of this tweep's family and send them a copy of the troubling tweet. And when another tweep told me the name of the city where they thought this despondent tweep lived, I looked up the number of the police department in that city and called them. All along, I was corresponding with a concerned tweep in another country. When I reported to them what I had done, I was harassed by another tweep who said that what I had done was wrong and suggested that I was violating this person's right to kill themselves. Let me be clear. I did not do what I did to be a hero or because I wanted anything in return. I responded to what I thought was a cry for help, in a manner consistent with my training, all along making it clear I was a concerned stranger, acting as a Good Samaritan. That said, I absolutely did not think I would be scolded, chastised and harass for trying to help. I was completely taken aback, quite shaken and very upset. Despite the criticisms, the people I contacted about this suicide tweet took my reports seriously. I received two call-backs from the police who were desperately trying to find the despondent tweep so they could go out and conduct a health and welfare check. The family member also emailed me back, letting me know they were aware of the situation and that there was a family member with the tweep. When I told the family member that I had contact the police, they agreed to call the officer as well. Research shows that most people who commit suicide do so in a moment of despair. Many struggle with mental health problems. Many are overwhelmed by their circumstances and in a moment of hopelessness, they think death is the only solution. Troubled and drowning in pain and sorrow, they make a tragic decision that, if they are successful, can not be reversed. They come to an emotionally-charged conclusion that will have a profound impact on everyone they know. I firmly believe that suicide is not the answer. I believe that people professing suicidal thoughts or communicating that they have a suicide plan are in need of emergency psychiatric treatment. I believe that suicide is a 911 emergency, period. Now that the crisis seems to have passed and I have reflected on the events of the day, I have decided that, presented with this situation again, I would do this again. If someone I know through social media brings to my attention someone's intention to kill themselves, I will stand up and do what I can to alert people who can intervene and help them. I am taking a stand again suicide. I encourage you to join me. Question of the Week: Are You Ready for the Holidays? Are you ready for the holidays??? The good news: after a work-up, medications and a change in diet, this condition appears to be under control. The bad news: now I have a bit of a holiday cash shortage. 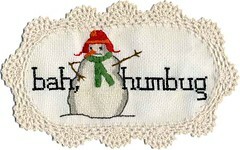 Fortunately I have a Plan B ... and a Plan C.
So I am changing my plans and figuring out how to do more with less--like a lot of people are doing this holiday season. So how are your holiday plans shaping up? Leave a comment and let us know if you are ready for the holidays. You can also join us over at the Oh My Aches and Pains! Facebook page where we will be discussing this topic all week long. Image via WikipediaSo I am trying to figure out how much cooking I want to do this Thanksgiving. This year, I wanted to go out to eat, but it is really hard to find a restaurant that serves a good Thanksgiving meal without spending a lot of money. Thankfully, on a trip to Trader Joe's, I discovered their cornucopia of heat-and-eat options for our holiday feast. Usually heat-and-eat means having to get a whole turkey or just the turkey breast, but at Trader Joe's they are selling a fully-cooked half turkey, which is the perfect compromise. I get my dark and white meat and I don't have to clear off a whole shelf in the frig to store it until Thursday. First up is the Fibroblog, published by the National Fibromyalgia Association. Their latest post, Your Best Night's Sleep, is an all-inclusive list of strategies and tactics to following to get a good night's sleep. A lot of these are tactics I already use, but I did learn some new things, like the trick that involves your right side. Seven Strategies for Managing That "Fibro Guilt"
Dr. Bruce Campbell, the founder of the online CFIDS and Fibromyalgia Self-Help, knows that people living with fibromyalgia often feel guilty about many different things: for not being the spouse or parent they wish they could be, for not being able to contribute as much to the household financially or physically, or for sometimes blaming themselves for getting sick. The website ProHealth reprinted his article on the topic of "fibro guilt" and it contains a lot of good advice and even step-by-step instructions for implementing it. Did I mention that am a graduate of the online CFIDS and Fibromyalgia Self-Help program? So the title of this article drew me in and the information in the post made me glad I clicked to read it. Dr. Stephen Meyers of the Med Savings Blog is on a quest to help us save money on medical care and in this post he teaches us how to prepare for medical appointments using his SMART preparation method. These are great ideas that I am going to print out and keep in my medical folder so I can review them every time I get ready for a medical appointment. I'm not sure how I missed this gem at the Fibromyalgia Network website, but I am glad a friend of mine tweeted this link. Here is another helpful and comprehensive list of ideas to make life with fibromyalgia easier from this website. It's amazing how I discovered a lot of these things on my own though trial-and-error over the years. It would have been nice to know about this list beforehand, so I am sharing it here so you can skip ahead of the class. My final recommendation comes from the How To Cope With Pain blog. They are embarking on a series of posts about advances in pain medication and I began by reading the first post. Topics will include: improved medication delivery systems, using existing medications more safely and the role genetics can play in selecting the right medications for you. Those are my pick for this edition of Good Reads. Enjoy these posts and let me know if you found them helpful. Don't forget when you visit these blogs to leave some comment love along the way too. A Question: Why Should It Trouble Us? There was a time when we were not: this gives us no concern. Why then should it trouble us that a time will come when we shall cease to be? Do you really believe Snopes when they tell you Aspartame is harmless when studies by a myriad of doctors have shown health problems such as brain damage, retardation, neuro-chemical changes and that one-third of the Aspartame molecule is wood alcohol? 1) When I read your question, I completed another Google scholar search on Aspartame to see if I could find references to "Aspartame poisoning" on Pub Med, which is a service of the US National Library of Medicine. I thought I might have found some new information in the article Cytotoxic effects of methanol, formaldehyde, and formate on dissociated rat thymocytes: A possibility of aspartame toxicity in the journal Cell Biology and Toxicology (Volume 18, Number 1, 2002 , pp. 43-50(8)). Unfortunately the conclusion of the study was: "It is suggested that aspartame at abuse doses is harmless to humans." Despite an exhaustive search, I could not find any credible scientific, peer-reviewed information that shows there is such a thing as Aspartame poisoning. 2) I did find an article at the Mayo Clinic website, one of America's premier medical providers. You would think that if Aspartame posed a risk to people who ingested it, they would mention this fact in their article: Artificial sweeteners: Understanding these and other sugar substitutes. ...according to the National Cancer Institute and other health agencies, there's no sound scientific evidence that any of the artificial sweeteners approved for use in the United States cause cancer or other serious health problems. And numerous research studies confirm that artificial sweeteners are generally safe in limited quantities, even for pregnant women. The FDA has also established an acceptable daily intake (ADI) for each artificial sweetener. This is the maximum amount considered safe to consume each day over the course of your lifetime. ADIs are intended to be about 100 times less than the smallest amount that might cause health concerns. 3) So when I learned there was an ADI for Aspartame, I went looking for it. My search took me to Wikipedia and article on the Aspartame Controversy. In my opinion, the article is well researched, written and filled with many reputable sources of information. But don't take my word for it--read it yourself. I learned that the ADI for Aspartame set by the FDA is 50mg/kg. I also learned that the average 12 ounce diet soda sweetened with Aspartame has 180 mg of Aspartame. With my husband's help, I figure out that I would have to drink 27 12 oz. cans of diet Coke a day to reach the ADI for my weight. 4) In the same Wikipedia article, I learned that the amount of methanol produced when aspartame is digested is less than the amount of methanol produced by things like fruit juice and citrus fruit. We also shouldn't forget that digesting fermented beverages like beer produce more methanol than Aspartame does. What my reader didn't mention is that Aspartame also breaks down into formaldehyde. But don't be alarmed. Turns out our bodies make formaldehyde naturally and lots of the foods and drugs we ingest turn into formaldehyde in our small intestines. Fortunately, our bodies are equipped to quickly and efficiently break down formaldehyde into formic acid to prevent any problems. It is true that some people are highly sensitive to artificial sweeteners and can develop symptoms like headaches, dizziness, vomiting, diarrhea and fatigue. It may even be possible that some extremely sensitive people could develop an allergic reaction or maybe even severe symptoms. But for the overwhelming majority of us, aspartame and other artificial sweeteners have been proven to be safe to consume. If you are concerned that Aspartame is negatively affecting your health, I suggest your read my post How to Become a Fibromyalgia Scientist. I believe using the scientific method can help you and your doctor determine if Aspartame consumption is problematic for you. Disclaimer: I am not a medical professional and this post does not constitute medical advice. Always consult your doctor or registered dietitian if you have concerns about the effects the foods and drinks you ingest have on your health and your chronic illnesses. Welcome to the Love Beats Hate blogging event. Participating in this event is a no-brainer: of course love beats hate! I want to be one of many that remind, discuss and proclaim this today. 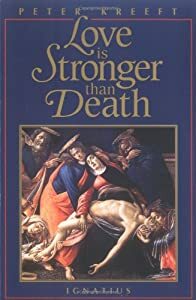 The first was a title of a book, Love Is Stronger Than Death by Peter J. Kreeft, a book I read a while ago that really struck a chord with me. The second was this quote, author unknown: You only love (insert your favorite word for God here) as much as you love the person you love the least. This is the ultimate lesson in how to allow love to beat hate and I found it enlightening. He explains why we need to expand our compassion to our enemies and the seven step meditation method he suggests to accomplish this is some pretty powerful stuff. I especially liked the insight on why you want your enemies to be happy. Even the people acting the most unloveable have some small thing you can love about them. You can love someone and not like them. Love doesn't mean putting up with all the crap someone dishes out. Love means accepting someone as they are, warts and all. I am sure there are others that I am forgetting in this moment, but that is where you come in. Leave me a comment and let me know what lessons of love this lifetime is teaching you. Treating fibromyalgia can be frustrating. When medications and treatments prescribed by your doctor don't provide the relief you are seeking, you may be tempted to try alternative medicine and supplements. Medical insurance doesn't cover many of these options, but perhaps you've convinced yourself that paying out-of-pocket just proves how committed you are to getting better. Before you jump in head first, I suggest doing your homework. Let's take, for example, d-ribose made by a company called Corvalen that costs about $50 for a one month supply. D-ribose is a supplement that is being touted as something that can help fibromyalgia-related fatigue. Dr. Jacob Teitelbaum, a big name in fibromyalgia and chronic fatigue, even recommends this product. Only problem: this supplement had not been scientifically tested to determine if it works any better than a sugar pill according to the independent Fibromyalgia Network Treatment and Research News. Have you heard of Fibroboost® or Fibronol®? Well apparently the company that makes Fibronol wants you to believe that their supplement has been proven in clinical trials. On the Fibronol web page, they provide a link to a Google docs document that looks an awful lot like a scientific journal report. But it doesn't appear to have been published in a peer-review medical journal, which is the gold standard for the medical and scientific community. Once again, the independent Fibromyalgia Network has more to say about this deceptive advertising practice. Now that I have pointed out some of the problems with finding supplements for the treatment of fibromyalgia symptoms, let me share with you some sound advice. I trust the Fibromyalgia Network. Why? They don't accept money in the form of advertisements, endorsements or grants from pharmaceutical or supplement companies. This allows them to be independent, objective and honest. They strive to publish up-to-date and relevant information culled from medical journals, conferences and interviews with top medical professionals in the field of fibromyalgia and chronic fatigue. Their organization is supported by membership fees. Membership includes a quarterly journal, monthly enews alerts and a toll-free support line. For free, you can access their list of potentially helpful supplements. All have been the subject of varying degrees of scientific research, with the top three, magnesium, malic acid and Vitamin B complex, having the most recognized benefits. Best of all, this list of 12 supplements have the potential to give you the most bang for your buck without bankrupting you. The bottom line: be careful and do your homework. If you are confused or too tired, seek out the help of a trustworthy organization like the Fibromyalgia Network that can help you sift through the clever claims and crazy hype to get to those things that are proven to really help. Question of the Week: Speak Up or Shut Up?